Last night, a few coaches from past seasons lent a hand in advising the Top 8. Gwen helped both Christina and Pharrell. Opening the show was a group performance by this season's Top 8. It wasn't one of the best group performances I've seen on The Voice, but it was okay. The three guys left started the piece off, with the girls coming in for the second half. It may have just been me, but it seemed as though the girls were trying to 'one-up' each other with there solo parts... a theme that sadly seemed to carry on into the competition part of the show. With the first Live Show of The Voice where the coaches have no control, the artists hit the stage and every one of them really was amazing. They are all so different in styles and performances that it's very hard to say who deserves to move forward and who deserves to go home... where one may fall behind a little in one situation, the same excels beyond everyone else in another... so how do you choose? Hannah Kirby opened the show last night with Edge of Seventeen and showed us exactly why she deserves to be there. She came out looking amazing and sounded absolutely phenomenal. Everything from her wardrobe to the song choice made it clear who Hannah is and what kind of vocalist and performer she's meant to be. Her vocals were pure and strong, but it's her eyes that grab you and bring you in. Overall, one of my favorites. Brian Johnson performed If I Ever Lose My Faith In You and seemed nervous last night. Last week I saw a pureness in his vocals, but this week he seemed somewhat off. I'm not sure if it was song choice or something else, but last night was not one of his best. The parts of the song where he would go a little higher up in the register, he sounded great. It was the lower parts that seemed to get lost. India Carney hit us with Take Me To Church. Christina pushed India a bit outside of her comfort zone with this song, but India nailed it beautifully. She was strong. She was solid, and she hit everything she needed to. The song choice ended up being the perfect choice to show us a little more a rocker edge to her, and she did really well last night. 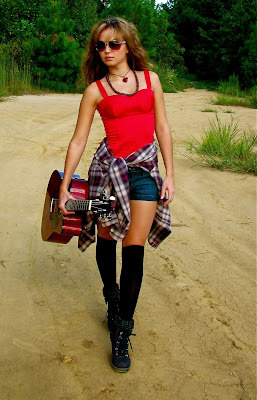 Deanna Johnson stayed with the Gospel/Worship route and sang Oceans (Where My Feet May Fail). I do enjoy this style of music, but I would really like to see another side of Deanna. Everyone else seems to be getting pushed outside of their comfort zones, but she stays grounded where she is. Don't get me wrong, she is an incredible vocalist and performer. Last night was no different. She looked and sounded amazing. She sings mostly in the lower register, and I would like to see her come up a bit, but overall, I was still very impressed with her last night. Sawyer Fredericks performed Imagine, but it wasn't my imagination of how great it was. It's hard to remember that he is only sixteen-years-old. He sat on the stage with his guitar and just dominated every inch of room. His vocals seem to penetrate like nothing I've heard before. I really don't know what to say... except, maybe, "see in in the Top 3"! Rob Taylor did surprise me with his rendition of I Put A Spell On You. We've all seen how vast his range is on stage, but last night he showed how he is able to control it and use it to his advantage and for our enjoyment of the song. He never overused any note and his falsettos were perfectly placed and timed. I knew he had talent... I just did realize how much. The crowd loved him and the coaches were all on their feet. All I can add is "Great Job." Corey Kent White gave us our country fill with Why. While the performance had a very clear country tone and vibe, the vocals were just a little weak when he was just standing there playing his guitar. Everything sounded okay, but there didn't seem to be any feeling, and a couple of his runs seemed to fall short. But, when he pushed aside his guitar and moved into the audience, the power of the performance picked up and the energy seemed to grow exponentially. So... first part with guitar playing was just okay - second part with no guitar playing was much better. Koryn Hawthorne sang Stronger (What Doesn't Kill You), and man did she blow me away. She completely rearranged the song and did an amazing job with it. Honestly, I'm sure Kelly Clarkson would be incredibly impressed with Koryn last night. She started with a modified and stripped down chorus, and when the band came in fully, she just exploded with power. She worked the stage and her vocals like she has been doing this for years. Pharrell's face was just filled with awe, and Koryn rightfully received a standing ovation from all the coaches. Joshua Davis gave us America, and while it wasn't one of my favorites, Joshua still can command the stage with little effort. I'm not sure if it was the key he chose to do the song in or just the audio but I did feel as though he missed a few notes. His personality, however, claws its way out in each song, and that goes a long way in live performances. It adds feeling and sincerity to the vocals, so even if a note or two gets missed... it's often not noticed. Meghan Linsey used Girl Crush to show us her country roots and why she's one of Blake's powerhouse vocalists. There really isn't that much to say about Meghan's performance last night that hasn't already been said about her numerous times before. Amazing vocals - Amazing control - Great strength and control - All put together nice and neatly into a killer country performance. Kimberly Nichole closed the show with House Of The Rising Sun. This song was perfect for Kimberly to showcase just how much power she really has. While the performance wowed everyone, including the judges (who gave her a standing ovation), I felt there were some parts that the power seemed too much. It was always controlled, but I felt Kimberly either let too much out or it's fully aware yet of just how powerful her vocals can be. Either way, it was great... I would have just like it better just a little more reigned it. Like I said, everyone is very different and when one fell short somewhere, he of she more than made up for that somewhere else. Note: My favorites and the artists I think should (or shouldn't) make it through usually are NOT the same as my predictions on who will go home or who will move on... these are predictions and not preferences. Kimberly, Sawyer, and Meghan are guaranteed SAFE! Deanna, Koryn and Rob will also advance to the Top 10. Joshua will join them next week. Corey and India will also be around for another week. And the (Twitter) INSTANT SAVE should come through to save Hannah Kirby. YOU CAN STILL DOWNLOAD YOUR FAVORITE ARTISTS' SONGS FROM iTUNES. 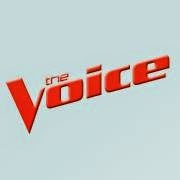 WATCH "THE VOICE" MONDAYS AND TUESDAYS ON NBC! "The Playoffs is where the artists become stars before our very eyes." In keeping with the pattern of the past seasons, the second night of Playoffs were (mostly) stripped down performances. I think both nights should be that way. When you're going from Top 20 to Top 12 ... it really should be ALL about the vocals. But, that just may be me. Last night Team Adam's and Team Christina's artists had their turns on the stage, and overall, it was a great show. So let's recap Team Adam. Tonya ("Take Me To The Pilot") has a truly God-given gospel voice. Her entire performance was vocally strong and seemed to resound through and off everything. Historically, gospel music has worked well for artists early on in the competition, but I feel people may take (too much) into account that she was a little stiff in the performing aspect of her piece. Joshua ("Budapest") has a strong personality, and he injects it all into his performances. His upper range was a little off last night, and I think everything would have been much better if he had not brought out his guitar. Overall I enjoyed it, and even though it wasn't his best... it was still pretty great. Brian ("At This Moment") started out sounding a tad breathy (guessing nerves), but then released the power that he is very capable of. His vocals were strong, and there is just a simple pureness about his delivery. Brian is one Adam really needs to keep around. Deanna ("Down To The River To Pray") came out of herself and, for lack of a better word, exploded on stage. Everything from her wardrobe to her vocals was perfect for the song. I did question the song choice until the first note came out of her. It was absolutely Angelic and nothing less. I can't even imagine that no chairs turned for her in Season 5, because last night there was nothing but pure, powerful, and solid vocals. Definitely one of the Top 2 of the night! Deanna Johnson (with no doubt) will be voted into the Top 12. Joshua will advance by votes. Adam's pick is much less certain, but I think he will (and should) keep Brian. Sonic ("I'm Going Down") did alright. She had a strong soulful sound and her vocals were solid and steady, but like many of the artists last night, she didn't really show that wide of a range. Maybe it was the 'stripped down' versions, but many including Sonic, seemed to be holding back last night. Kimberly ("What's Up") came out and hit every right note. I was not a fan of the wardrobe choice, but her vocals were great and she earned herself a rather extended standing ovation from the judges and crowd. Lexi ("All By Myself") hit the stage and gave an extremely strong and convincing performance, despite her age in relation to the lyrics and message of the song. Her vocal power and control cannot be denied, and I felt that Lexi gave one of the Top 2 performances of the night. I admit, I was confused that she didn't get the standing ovation from the judges. For me, she produced the whole package last night. India ("Hurt") was given one of her coach's songs to perform. I can only imagine how that could make India feel honored and nervous at the same time. She was very strong, but I really noticed how much her A Cappella training and performing past came out in that song. While she did an amazing job, I found her vocals were often trying to overtake the music. She received (and deserved) the second standing ovation from the judges. Rob ("Earned It") has one of those immeasurable range abilities with his voice. Whether it be low or high, he hits every note with unnatural precision. The song was perfectly arranged to showcase his ability, but not so much as to make it a spectacle. It was very well done and almost got a standing ovation... Adam must have been too tired to stand. Kimberly Nichole will be voted through to next week. India Carney will be put through by votes. Christina's choice I think will come down to Lexi Dávila and Rob Taylor. Both did really well. I personally think Lexi killed it last night, but I think Christina is going to go forward with Rob. SEE ALL THE RESULTS TONIGHT ON NBC!